Doc-To-Help versetzt Sie in die Lage, Online-Hilfe-Systeme und professionelle, gedruckte Handbücher mit Microsoft Word oder dem Doc-To-Help Edito zu erstellen oder zu bearbeiten. Produzieren Sie diese Hilfe-Systeme in praktisch jedem gängigen Format inklusive HTML Help, Cross-Platform HTML based Help, Java Help, WinHelp oder Visual Studio .NET-Style Help, oder erstellen Sie ansprechende gedruckte Dokumentationen. Die Integration in Microsoft Word gibt Ihnen die Freiheit, in einer vertrauten Umgebung zu arbeiten. Doc-To-Help offers advanced authoring and publishing capabilities using Microsoft® Word to create online help, policy & procedure guides, eBooks and more. 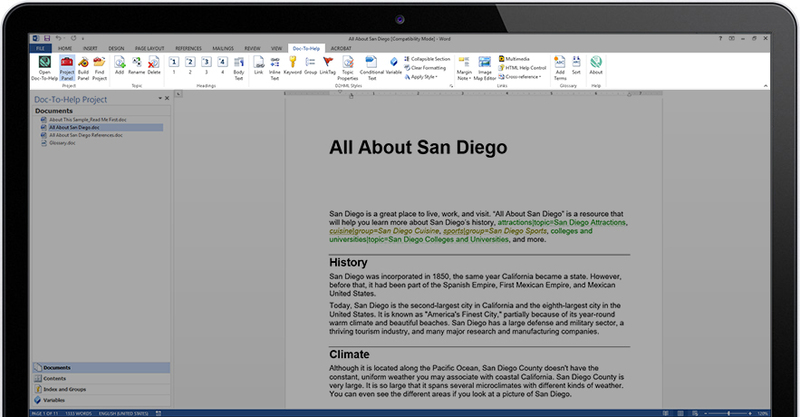 Use Doc-To-Help and Microsoft® Word to write content or import documents you already have. You only need to author a single set of content and Doc-To-Help will automatically publish multiple types of output. Use up to nine different types of output to publish your content. Conditional tagging features allows you to customize the content for each of the target platforms (e.g. online Help and printed manual) or create multiple versions of one type of output (e.g. Enterprise and Standard editions of Online Help or teacher and student training manuals). Each output is professionally designed and is formatted for its platform. These include Help files for desktop software, online Help for the Web, content for mobile devices, eBooks, and printed manuals. If you love Word, Doc-To-Help is the perfect technical authoring tool for you! 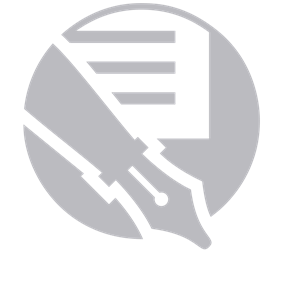 Doc-To-Help offers the industry’s best support for Word authors. Rather than forcing you to convert Word documents to a different format, we install a toolbar in Word to bring all of Doc-To-Help’s features to your editing interface. When you choose Doc-To-Help, your content stays in Word™. Conditional tagging features allows you to customize the content for each of the target platforms (e.g. online Help and printed manual) or create multiple versions of one type of output (e.g. Enterprise and Standard editions of Online Help or teacher and student training manuals). Doc-To-Help’s Web-based output is responsive (adjusts itself to the device’s screen size) and is touchscreen-enabled. Give your readers manuals in the format they want by choosing to create them in EPUB or PDF. Doc-To-Help’s EPUB output can display on virtually any reader (even Kindle after an easy conversion to Kindle’s mobi file format) while PDFs can be sent straight to press or made available on the Web. Both formats are professionally polished.